The LyntonWeb team prides ourselves on helping businesses achieve their goals through cutting-edge inbound marketing techniques. As a certified diamond Hubspot partner, we work companies to help them optimize their Hubspot growth stack. Companies across all industries are learning the importance of tracking digital marketing metrics to learn about their customers’ behaviors and preferences. Offering services in web design, inbound and digital marketing, and Hubspot integration, think of us as an extension of your marketing team. No matter your industry, it is vital to create a website that reflects well on your company. Small businesses have the power now more than ever to leverage their online presence and reputation to grow and reach the next level. As a growing business ourselves, the LyntonWeb team is excited to join Clutch.co, a ratings and reviews platform for companies in the B2B industry. Our team boasts offices across the country, in Houston, Denver, Pittsburgh, and Cleveland. As one of the strong-performing digital marketing agencies in Houston, we aim to not only provide the highest-quality inbound marketing services, but we love to hear from our clients and give them a voice so we can refine our services and processes. Companies on Clutch list client reviews to their profile, in which analysts conduct brief phone calls with clients about specific projects, discussing a company’s service offerings, project management style, feedback, and the details of the project itself. Companies listed on Clutch are ranked according to these reviews, and also according to factors such as a company’s ability to deliver, portfolio of past work, and past and current clientele. We are excited to share some of the results of our projects with you and we would love for you to take a look at our profile and see more. 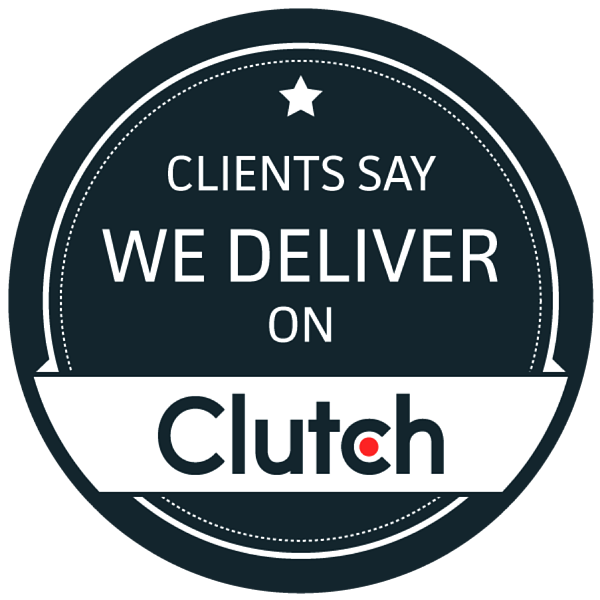 Thanks again to all of our clients and to Clutch for giving our clients are voice on your platform. We would love to hear from more of you, so please reach out if you’re interested in leaving a review.